Xiaomi has launched another new smartphone on Amazon having all new features. Xiaomi always comes up with new smartphones having awesome features and the best part is that it is available at an affordable price. So many advanced features available at very nominal price so why to waste time, grab this opportunity and buy a new Redmi Y1 32GB at Rs 8999 and Redmi Y1 64GB at Rs 10999. 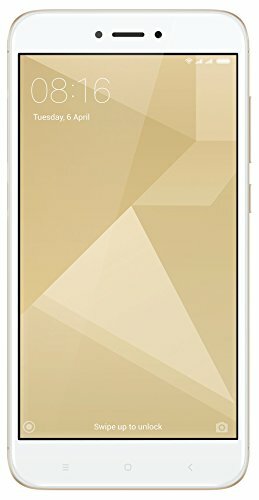 You can buy Redmi Y1 Lite also from Amazon. Redmi Y1 has MIUI9 and so many awesome features like its camera quality, battery backup, dual SIM slots, octa-core processor and so on. It renders 16 MP front facing camera so that you can click effortlessly gorgeous selfies having sharper and more vibrant self-portraits. It enhances your natural beauty. It has large 5.5” HD Display so you can enjoy videos, movies, playing games, etc. on such a large screen. 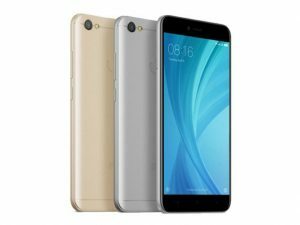 Redmi Y1 also has long-life battery that is 3080mAh. So, now your work will not stuck up because of the low battery issue, you can easily use this handset for the full day without facing any trouble. As far as security is concerned, then it has smart fingerprint sensor so that you can unlock it at the touch of your fingerprint. To know more about its specifications you can click on the link given below on our page. Redmi Y1 & Y1 Lite sale begins from today onwards at 12 PM on Amazon India. Follow the steps given below to avail the offer. Click Here to see the Offer page. Click on ‘Notify Me’ option as available on the screen. Now, sign up or sign in using your registered email id and password. You will get an email to your registered email address. Now, you are eligible to buy the Redmi Y1 & Y1 Lite Smartphone from Amazon. You can buy Redmi Smartphones from Flipkart and Snapdeal too. The links are given below so click on it to grab the deal. For more such offers and promo codes, bookmark our web page.